I’m partnering with American Express on a storytelling campaign highlighting some of my favorite local businesses in the Portland area. First up is Katie Prinsen of Prince Coffee..
Katie grew up in southern Oregon and moved to Portland to attend college. After graduating with her BA in Business and falling in love with the city, she decided to make it her permanent home. Before living in Portland, Katie spent her childhood summers visiting her family in the Netherlands, which is where a lot of her inspiration for her business came from. Katie has been working in the coffee industry since high school, but it wasn’t until after college that her interest in specialty coffee began to grow. After working for several different coffee companies, her passion for coffee continued to flourish, and she began developing her own concept until her dream became a reality – Prince Coffee. 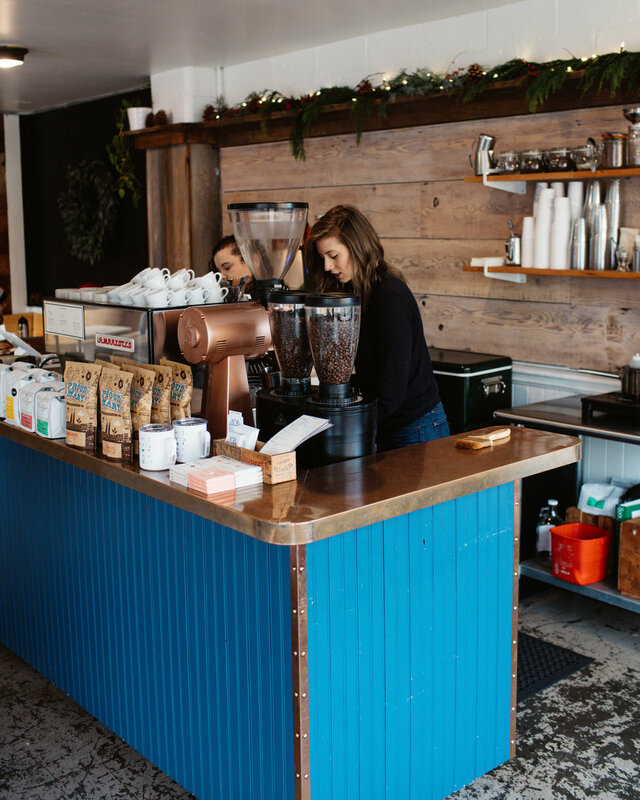 After more than two years of rejection while looking for spaces and money to start Prince Coffee, Katie finally found a wonderful store, Revive Designs, that said she could do a pop-up coffee shop in their space. She secured an equipment loan and funded the rest herself. Katie and her dad built the cart themselves and the rest is history. The first six months were more than successful. Revive Designs asked Prince Coffee to stay in their space permanently and . Katie is planning to open her second location in the new year. Starting a business from scratch has been a lot of trial and error and a learning experience for Katie, but she wouldn’t trade her experience for the world. American Express allows people like Katie to start a business and pursue their dreams with help through their credit cards and support. Katie is also happy that her customers have the opportunity and convenience of using their American Express cards at Prince Coffee. When it comes to restaurants, gourmet markets, food trucks, cooking classes and coffee shops– use your American Express® Card for your foodie favorites.